First, there was Natalia, our very first Compassion sponsored child. We started sponsoring her 4 1/2 years ago after reading blog posts of a friend's trip to India to visit his own sponsored children. We chose her because she was close in age to my own daughter. At the beginning of our sponsorship journey, we really didn't get it yet. So when we learned that Natalia's family had moved away from the project area just a few short months after we started sponsoring her, it wasn't really too hard to go online and choose another child to sponsor. That is when we started sponsoring Lina, who we have been sponsoring now for almost four years. And I am hoping to go visit her in February 2015 on a Compassion Sponsor Trip! Then there was Eduardo. Sweet little Eduardo from Mexico! He was the little guy I was planning on visiting when I initially paid my deposit for the January 2014 Compassion trip to Mexico. We had been sponsoring him for a year and a half at that time. But shortly after I had paid the deposit for my trip, we learned that his center had closed and there was going to be no way I could visit him. I was devastated. It wasn't until our trip in January that I found out that God had a reason for us to choose another child. Although, He knew all along which child I needed to be connected with. Felix and I have a connection. One that I know, personally, is hard to live through. But because of this connection, I know how to pray for Felix and his family. Then in October of 2012, we started sponsoring Katherinne for our daughter Kelsey. Katherinne is just a few months older than Kelsey and she is from El Salvador. Now that my son and I have been on a Compassion Sponsor Trip together, we have talked about Kelsey and I going to El Salvador some time in the near future so we could visit Katherinne. After many months of letter writing back and forth between Katherinne and Kelsey, we received an e-mail last week that Katherinne's parents have removed her from the program. And just like that, she is no longer a part of our 'family'. 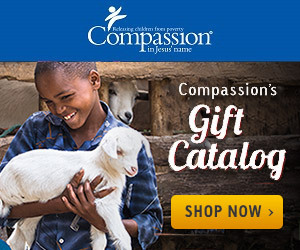 As a Compassion sponsor and advocate, we hear statistics quite frequently which are quite depressing about the number of children living in poverty, without clean drinking water, and the number of children dying each and every day. Because the numbers are so big, it is hard to think about those numbers being actual children with a name, and a family. But as a Compassion sponsor, we are in a relationship with children living in another country. They become a part of our family. We love them, we pray for them, we write letters to them, and we get excited when their letters arrive in our mailbox. When that relationship is abruptly ended, it is hard. But God never said life on earth was going to be easy. We will go through trials and hardships. And as hard as it is to say 'goodbye' to the children we have 'lost' as sponsored children, there are many more who are still waiting for a sponsor today. A couple of days ago, Kelsey chose another child to 'replace' Katherinne. This is Alfredo, he is a four year old little guy from Mexico. So it looks like, in the near future, I may have a chance to take my daughter to Mexico too! Yes, sometimes child sponsorship is hard, but I believe God knows what He is doing. And I will continue to trust in Him with the children He places in our family.